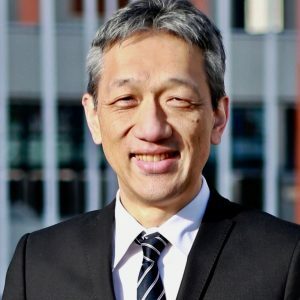 Shin Morita has 26 years’ experience in the public sector, 19 years of which was in the Japanese Ministry of Economy and Industry (METI) and Japanese Nuclear Regulation Authority (NRAJ) combined. He also has 7 years’ working experience in international organizations, including IAEA and OECD. Starting from 2 April 2016, he has been in charge of the head of the External Events Safety Section, under the Division of Nuclear Installation Safety, Department of Nuclear Safety and Security, the IAEA. He leads the section with 6 professional staff and 4 general service staff to fulfil the statutory functions of the IAEA, developing IAEA safety standards and providing their applications for member states, concerning natural and man-made hazards assessment, design and risk analysis of nuclear installation structure systems and components and continuous improvements of safety. From 2012 to 2016, he worked as a director in Japanese Nuclear Regulation Authority (NRAJ) in the field of nuclear safety against external events. He was in charge of managing five regulatory review teams, each of which reviews several license renewal applications based on the NRAJ’s 2013 regulatory requirement documents. From May 2008, he worked for the IAEA, in the Engineering Safety Section and at the International Seismic Safety Centre, for about 4 years. From 2007 to 2008, he worked as the director of the Emergency and Incident Response Office of the nuclear safety agency of METI. From 2005 to 2007, he worked as the director at a local office of the energy and natural resources agency of METI in Aomori Prefecture.